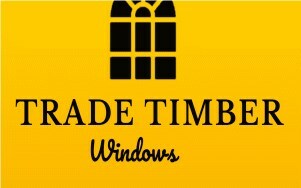 Trade Timber Windows - Windows/Doors/Conservatories based in Farnham, Surrey. Trade Timber Windows, is, as the name suggests, a specialist timber window and door company. We are in our 8th year of trading and our expert management team has a combined tally of over 50 years experience in the "timber window business". Without doubt, we are well known, respected experts, within the timber window industry and regularly advise architects, builders and domestic customers as to the best solution to their timber window requirements. Trade Timber Windows is the trading name of our limited company, The Ecopassive Window Company Ltd.
Our regular, everyday work is the supply and installation of timber windows and doors into Victorian and Edwardian houses. We specialise in all types of period properties, listed buildings and some modern houses with timber windows. Our factory replicates traditional box sash windows hung on cords and weights and spiral springs. All the period detail is copied giving the authentic appearance every discerning owner is looking for. In addition we supply beautiful "flush fit" casement windows, French doors, all draft sealed with gaskets and fitted with "invisible" hinges and multi-point locking. We use the finest engineered FSC timber, Red Grandis hardwood, which is farm grown in Uruguay. The process of engineering takes place where the wood is cut into strips, shuffled so the grain is mixed into different directions, bonded back together and from this reconstituted piece of timber, the window is made. The benefit of this process means that the timber does not warp or twist and remains totally stable to give decades of fantastic service. The window sections are produced on a CNC machine with pinpoint accuracy, then spray painted using Remmers low maintenance, micro porous paint. The window is then assembled around a high tech double glazed unit using our unique, internal steel joint for extended durability. All of our products are built this way, they meet the latest building regulations and it is little wonder that it is our product the building trade loves to use. For the quality builder it is one less concern......they can fit and forget !!! As a domestic customer, why not follow the same philosophy as the professional? From receiving your initial enquiry, our timber window expert will call to your property, discuss your project and advise on the best solution to meet your needs. He will sketch, take measurements and photos for our factory to price and then send you our quotation for you to consider. Our service to the domestic customer includes survey, where we take on full responsibility for measuring. We install. We remove all debris. We certify for building regulations. We guarantee our product with insurance backing. We insure your deposit. We project manage and partner you. We work to a strict published schedule. We keep you informed all the way. We are Approved by Surrey Trading Standards. Our resident expert and Director, Chris Kingwell is DBS certified (917410192). and of course we are vetted members of Checkatrade (514626) and comply with their Code of Conduct and Ethics. Finally.............. the price...........well, if the building trade use us regularly, and as you can imagine, it is an astute trade, the price may not be as high as you think.